best of luck with your new book. I really enjoyed the transport book and will treasure my copy of the book that was given to me that day we met iin Changi. Using stamps to illustrate topics is a wonderful idea. 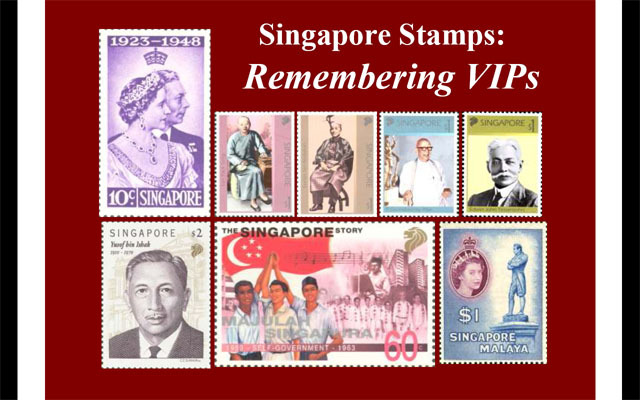 I remember my own stamp collecting days as a young boy and being amazed by stamps from Sarawak. This set off an inner desire to visit Sarawak which was never satisfied until I was doing support work on a project in Malaysia and they asked if I would be willing to go to Kuching to do some training and support at the manufacturing plant there. I enjoyed Kuching very much as in many ways it reminded me of my times in Singapore as a youngster. I think stamps have the power to stimulate the imagination and to generate that element of curiosity on a variety of topics that has stayed with me beyond my stamp collecting days. Wow, I didn’t expect a comment to come in so fast. Thank you. Thanks for the kind remarks about the “Transport” book. Victor is his usual modest self, deflecting the credit to other people. 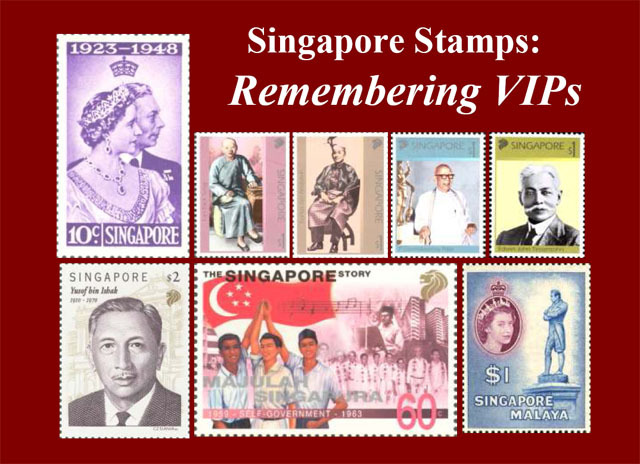 featured on Singapore stamps, starting with Queen Victoria. the statue of Sir Stamford Raffles in front of the Victoria Memorial Hall. I have been surfing the web more than 2 hours today, and this is the best article I’ve come across. I’m a blog post fiend so I’ve actually seen a lot already.Personally I think, if all webmasters and bloggers made as good content as youhave, the internet would bemuch more useful than ever before.